Good evening everyone! I hope you are all staying warm today! We had once again another extreme blast of cold air and a little snow which has my poor southern body screaming for some humidity! I am not use to all this dry air and my skin/body is paying for it, along with my lips. 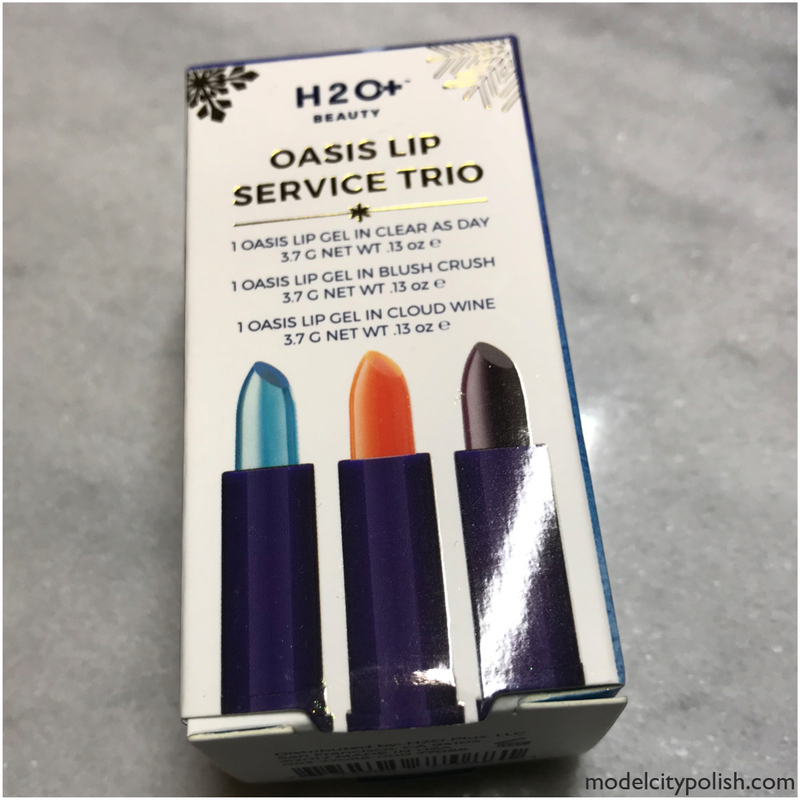 This seemed like the perfect time to break out the Oasis Lip Service Trio from H2O+ Beauty. 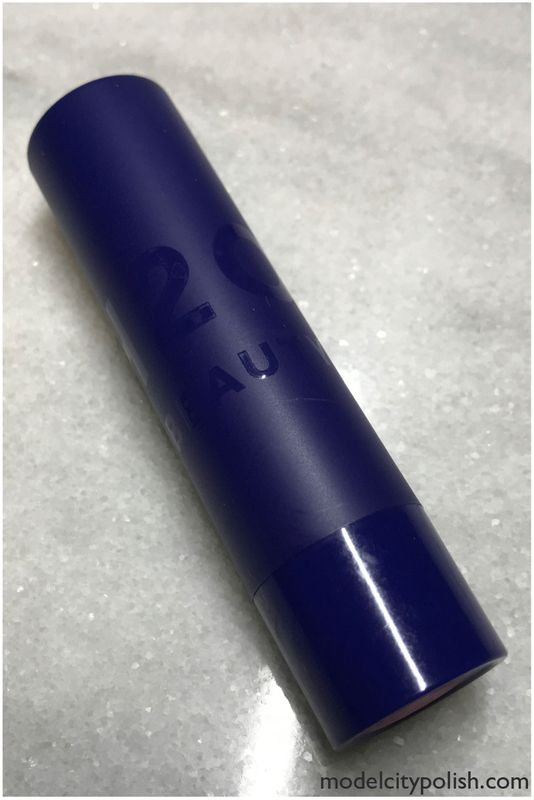 The Oasis Lip Gels by H2O+ Beauty come in this amazing jelly like formula that glides on beautifully. While my lips felt extra moisturized, they did not feel sticky like some lip balms. 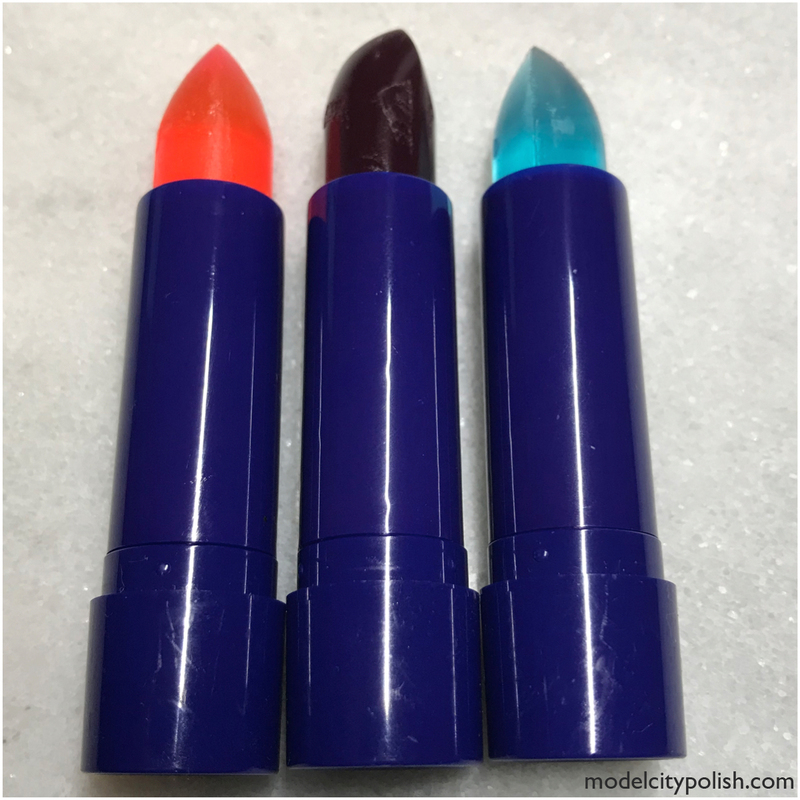 Personally I loved this formula and wish all lip balms felt as light as these. They advertised a minty fresh flavor but I really didn’t get a flavor from these, which was kinda nice. I had the pleasure of trying out three different ones, two tinted and one sheer. I had no idea that H2O made lip balms. I love the packaging on these, and the slipperiness without stickiness sounds intriguing. I was concerned when you mentioned “minty”, but there doesn’t seem to be mint in the ingredient list which is good for me. I like the two with more color. I thought that was odd too, mint without mint. lol! 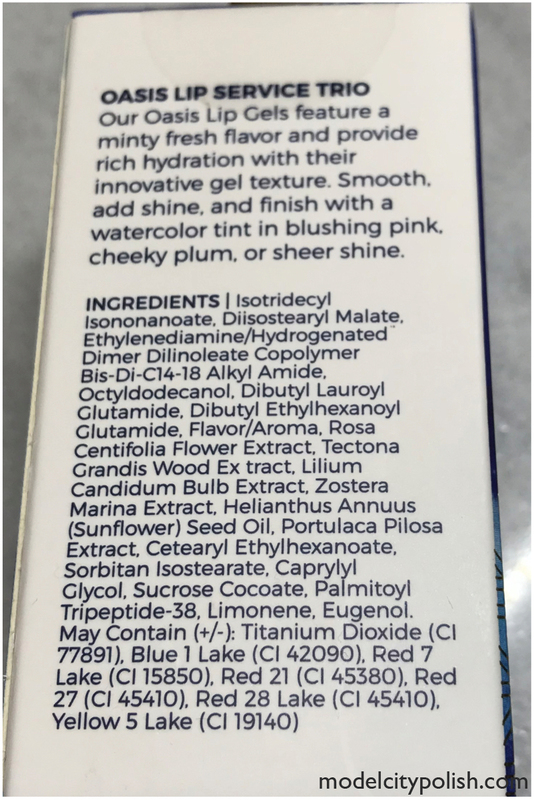 I noticed in the ingredients it said flavor/aroma as ingredient, a little non-discript…. I like these and I would wear these all the time. The fact that they aren’t sticky sell me even more. I’ve pretty much made them my exclusive lip moisturizer!!! The no sticky feel is the best thing ever!!! They are perfect for that! That’s what I’ve been doing for the past few weeks and they are prefect! I love the colors and the soft tinted colors are so soothing! This sounds great! The tint is perfect!!! I wear the tinted ones when going on out to give my lips a little color and to complete a more natural look. It’s so rare to hear about H2O Beauty anymore. I loved the store they had at the mall I used to shop at but then it seemed like they disappeared. These look and sound so interesting. Wow!!! I never knew they had stores!!! I come from a very small town so we didn’t really see many shops like this when I was growing up. I am certainly glad to have found them now though! These sound really interesting, and I like the idea of going with sheer and tinted. The fact that they don’t contain beeswax is a big plus for me! The glide on beautifully, really the perfect formula!! I have not heard of these but they look pretty and sound good! They are amazing! I have been using daily for a few weeks and love them!!! The color differences totally confused my brain. Those look great! The tint is so light compared to the product itself, that being say the color tint is just perfect for a everyday natural look! Whew those colors totally had me worried from the packaging/tubing! So glad that they are just tinted and really pretty! I’m not a huge fan of mint so it’s awesome that you didn’t smell/taste it! Hahahaha, they do look pretty bold but are really so tame. I am loving them for my day to day look. These totally sound like something I’d use! I’m pretty low key when it comes to makeup. They are perfect for a moisturizing day to day look!!! These look nice. I like a clear Balm because usually when I wear it I’m not wearing makeup so the blue one appeals to me. It is the one I am using the most, the others are great for a little hint of color. 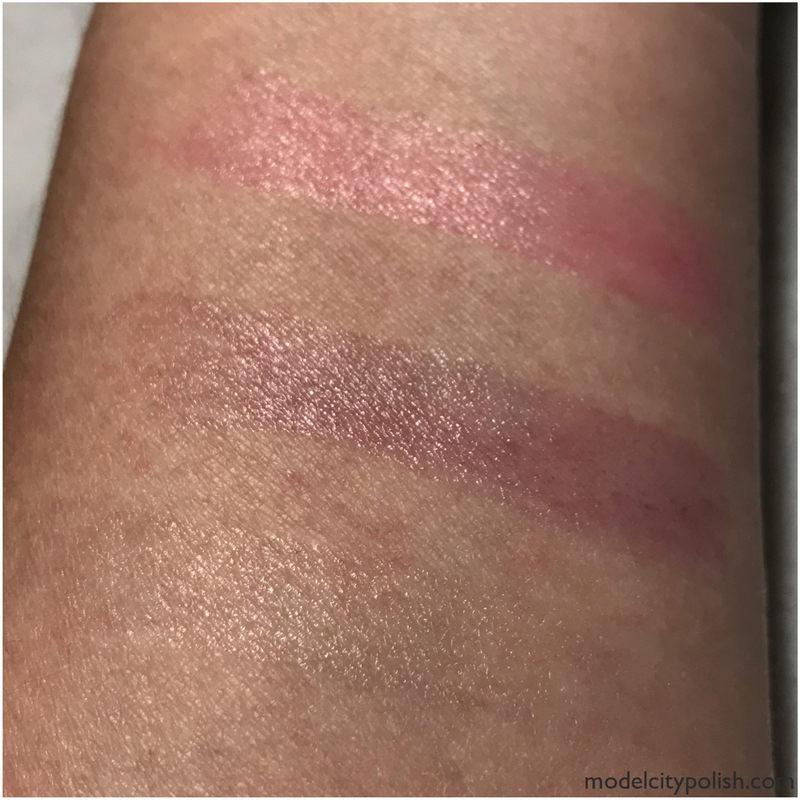 I did not expect them to swatch so … tame? Beautiful colors! They really are a soft tint, perfect for day to day natural look and the glossy shimmer is perfection! hadn’t heard of these but they sure do look like something I’d purchase! I’ve been using them for a few weeks now and just love them!!! The color tint is just perfect for my day to day natural look.